With the Turner Contemporary at the harbour, and Tracey Emin as a home-grown celebrity, Margate is establishing a reputation as a mecca for enthusiasts of modern art. This is combined in a quirky mixture with a focus on retro-chic that makes the old town fun. I wondered how I might get into the arty culture, with the trauma of my third form art teacher's report etched on my psyche "Tries hard - but results not good." So I thought that in the absence of artistic ability, I might use some of the effects filters in Paint Shop Pro. 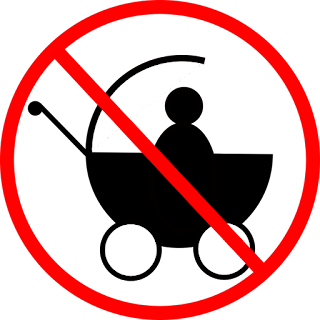 (I use that in preference to paying lots of money for Photoshop, but intend to get to know Gimp better.) Above you can see the harbour on an overcast day, and below is a part of Lombard Street in the old town with the Olde Sweet Shoppe, Beaux Interieurs, and the Lifeboat, one of the many micro-pubs in the area. Well that wasn't a very edifying spectacle was it, the Synod? An outrageously dishonest attempt at procedural manipulation at the highest level, publicly shoved into the turf nose-first by decent men who just couldn't stomach any more of it. Thanks be to God for Cardinal Pell and Cardinal Burke: at least we have heroes to sing of after the debacle. Which reminds me to revive the "Backbone Award" that used to feature on blogs. I suppose in advance of the follow-up Synod, we now have to face another year of false hopes and unnecessary confusion over Christ's teaching on marriage and the family while the wrong targets are routinely chosen for praise and blame, promotion and demotion. 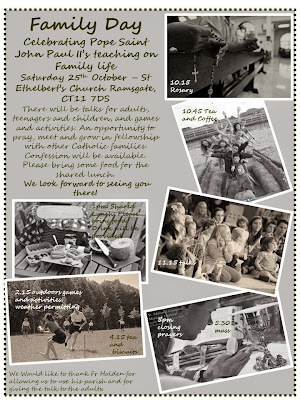 A day for families, celebrating Pope Saint John Paul’s teaching on family life: Saturday 25 October, St Ethelbert’s Church, 72 Hereson Road, Ramsgate. CT11 7DS. There will be talks for adults, teenagers and children, and games and activities. An opportunity to pray, meet and grow in fellowship with other Catholic families. Confession will be available. Please bring some food for the shared lunch. Starts at 10.15am with the Rosary; ends at 5pm with closing prayers, followed by the parish 5.30pm Mass. I have two Masses, six baptisms and a convalidation that day, but I hope to get over for a brief visit in the afternoon. 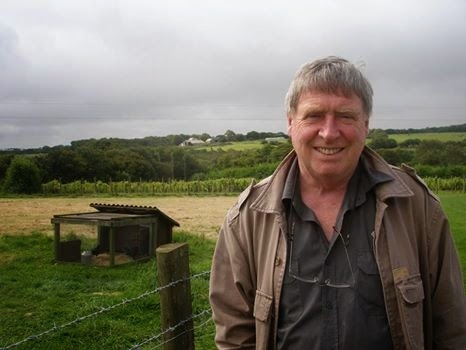 The family of Richard Collins have posted an obituary notice on his blog Linen on the Hedgerow. Anima eius et animae omnium defunctorum per misericordiam Dei requiescant in pace. Amen. Last Thursday, Holy Mass was said in Richard's room. He died fortified by all the rites of Holy Mother Church, and his final moments were accompanied by his family praying the holy Rosary. Richard was a fine Catholic man and I particularly appreciated his solid, sober and sensible contributions to various meetings of bloggers which he attended at some considerable cost and inconvenience. His funeral will be celebrated according to the usus antiquior. As soon as I have details, I will post them here. 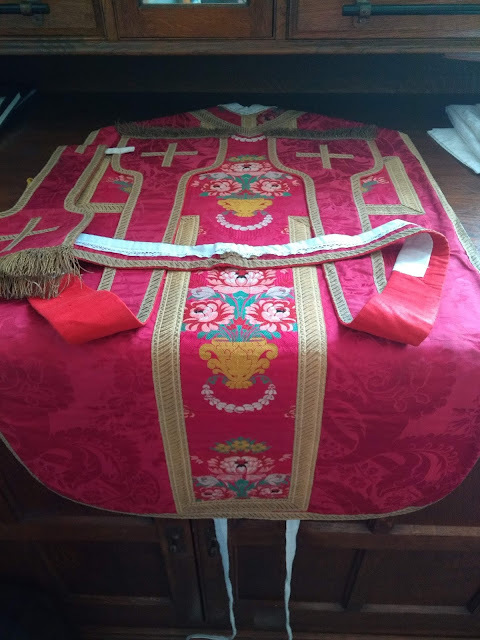 In the meantime, please pray for the repose of his soul, pray for his family in their loss, and give thanks to God for the great good that he did for others in his life, especially through the apostolate of his blog. The parish has a one-and-a-half form entry primary school so I made my third visit last week, to celebrate the Harvest Mass, and am beginning to find my way around. Likewise, the geography of the Queen Elizabeth, the Queen Mother Hospital (known locally as QEQM) is now becoming clearer after I have done a few rounds to see the Catholic patients and have responded to some sick calls to anoint people. The Benedictine Sisters at Minster Abbey have Vespers each evening (sung in Latin) and last Sunday, after October devotions at St Austin's, I went along and was pleased to meet up with others from the Deanery.